Five persons have lost their lives during a clash between two rival cult groups in Akwa Ibom State. The incident which occurred in Urua Ekpa community, Uyo, the state capital, as was gathered started on Tuesday night and ran till Wednesday morning and was between members of the Viking confraternity and the Iceland group. According to sources, the cause of the fight could not be ascertained as at press time, but the two groups were allegedly clashing over a girl. “At about 9pm on Tuesday when I was returning home from the market, I heard a gunshot down the street and I thought it was a motor tyre bursting but after some time I heard another gunshot again. It was when I heard the second time that I knew something was wrong. “A few minutes later, I heard people running and screaming and by this time the gunshots were everywhere, there was sporadic shooting. “Since yesterday this area has been under serious security threat, we couldn’t sleep last night. Three persons including one of our neighbours have been killed,” an eyewitness, who pleaded anonymity narrated to some journalists who visited the area said. “There was a big problem here in this village; there were some guys who were giving us a big problem here yesterday. They continued this morning and I can confirm to you that two persons have died in our street. “I was preparing to come to my barbing saloon this morning, when a group of guys started chasing our neigbour from here, they later caught up with him down the street, where they mercilessly murdered him,” another witness, who runs a barbing saloon along, Urua Ekpa road, Ita Idung, who identified himself as Akpan said. Report says that many people lost their phones, hand bags, jewelries, cash and other valuables in the process of running for their lives. However, MacDon Ogbeche, the Police Public Relations Officer in the state, who confirmed the incident said, “The Akwa Ibom Police Command received a distress call about a clash between two rival cult groups around Urua Ekpa area. The Commissioner of Police ordered immediate deployments. Two persons have been arrested, no life confirmed loss. Investigation is ongoing but normalcy has been restored. Akwa Ibom State police command has intensified security in the area by a team of policemen who have been deployed to some Streets of the community. The post Nawa Oo! 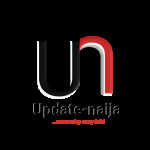 Five Dead As Cultists Fight Over A Lady In Akwa Ibom appeared first on Naijaloaded | Nigeria's Most Visited Music & Entertainment Website.